A few hundred Novell IDM drivers and a fully functional SIEM system (Sentinel). 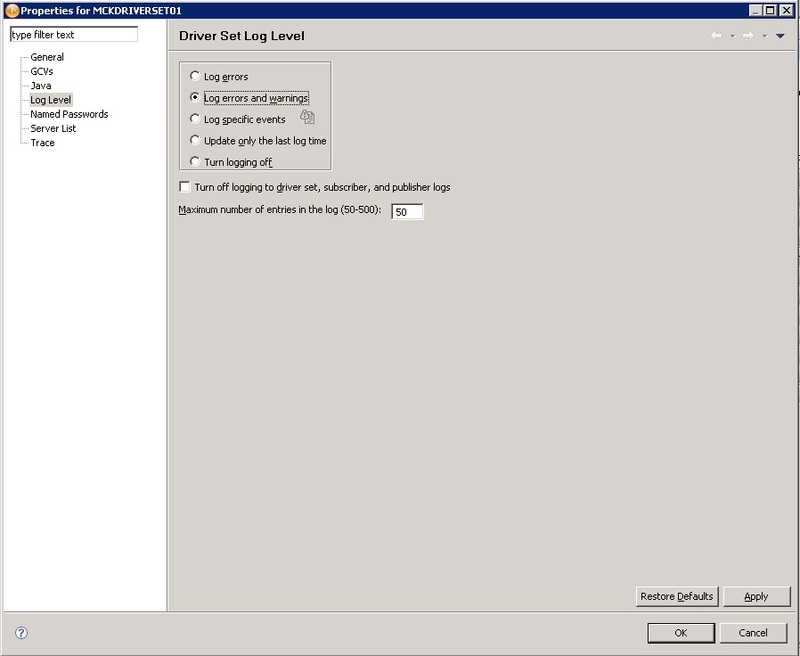 Why not kick over events from IDM to Sentinel? That part wasn't too bad, there is a collector specifically for Novell IDM that will kick a whole slew of events. 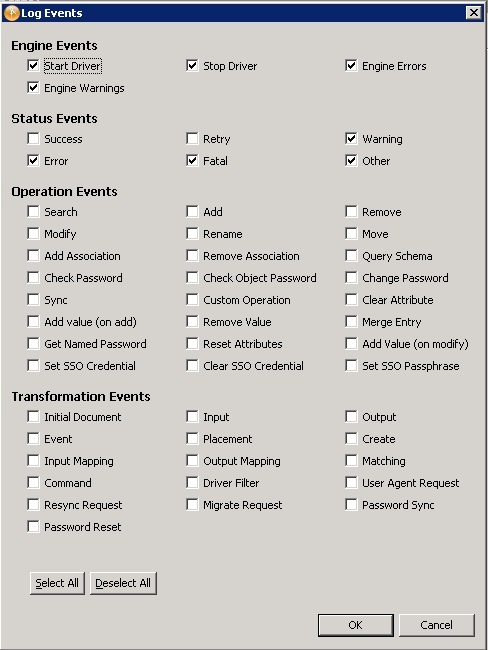 Here is the monkey wrench, what if you want to leverage IDM to send custom events to Sentinel? Let me begin from the start. In most instances, I find Novell's documentation to be much better than other vendors, but the Sentinel documentation doesn't seem to live up to the standards in which I have become accustomed. I had quite a bit of confusion as to the Platform Agent installation and configuration in order to get events successfully sent over to IDM. After much tedious research, I found that IDM automatically installs a version of the platform agent, so no additional Novell Audit installations are required. Where 10.1.1.1 is the IP address the Sentinel Collector Manager server is listening on for Novell IDM Audit events. This file should be setup for all Identity Vault servers to ensure all messages are sent to Sentinel. The next thing to do is instruct IDM which events to kick out. In designer, go to the properties of the driverset which you would like to forward logs to Sentinel. On the Log Level portion, select which types of logs. 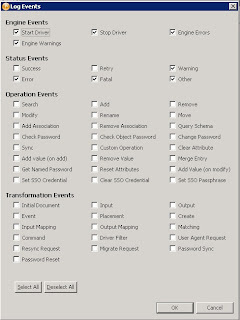 I would recommend selecting the "Log specific events" radio button, then selecting events from the list. Please note that the "Other" under "Status Events" will be used later. This will allow events created with the "generate-event" action in IDM to be shown within Sentinel. 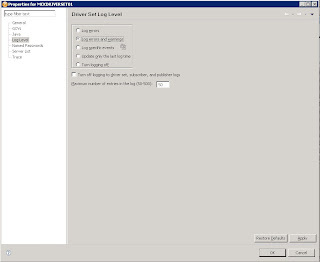 Once all of the events are selected on the driverset and the logevent.cfg file is updated, you will need to bounce edirectory entirely for them to take effect. There may be a way to do it otherwise, but this was the easiest way to make it all take effect. Also note that this must be done on all servers in the driverset. Now, the events will be sent to that IP address, but you may not have a collector manager listening on that port. Everything as far as setting up the Novell IDM collector is pretty straight forward. There is one thing to note as it may become an issue. In logevent.cfg we did not specify the port explicitly, therefore the audit events will be sent on the default port of 289. Please note that if the Collector Manager is installed on a Linux/Unix machine, the process must run as root to listen on any port below 1024. That being said, if Collector Managers are on Unix/Linux, I would recommend using port 1289, this will need to be defined in logevent.cfg as well as configured on the Sentinel environment.